For lighting, the architects gathered vintage lights of various sizes and clamped them randomly to shelves. 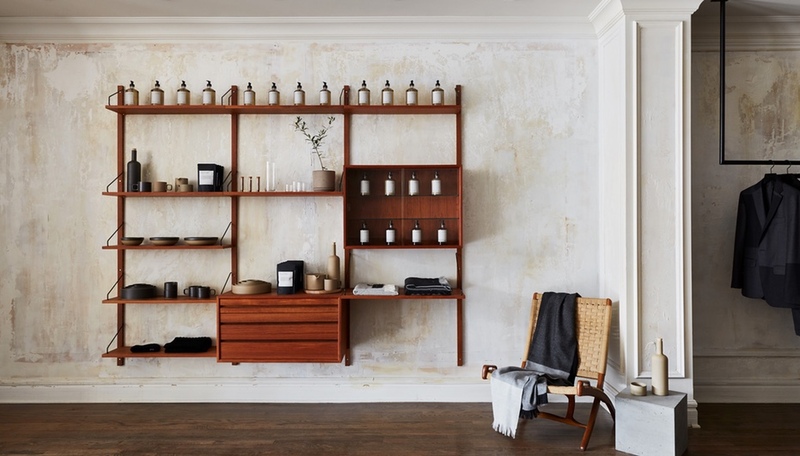 The entire shelving system is made from wooden pallets and covered in a coat of yellow paint. 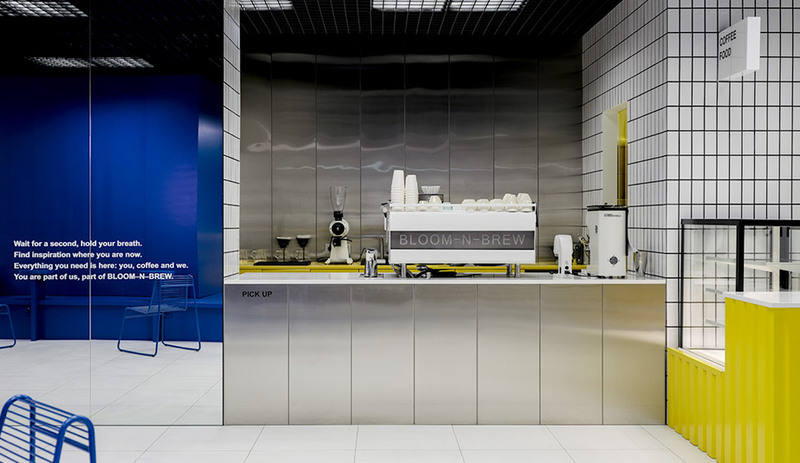 Integrated seating and three hidden nooks invite shoppers to stay a while. Books are grouped by theme rather than category, so you’ll find books on poetry, biography and psychology, for example, side by side. With a budget of £100,000, this former office has transformed into a new modern archetype. 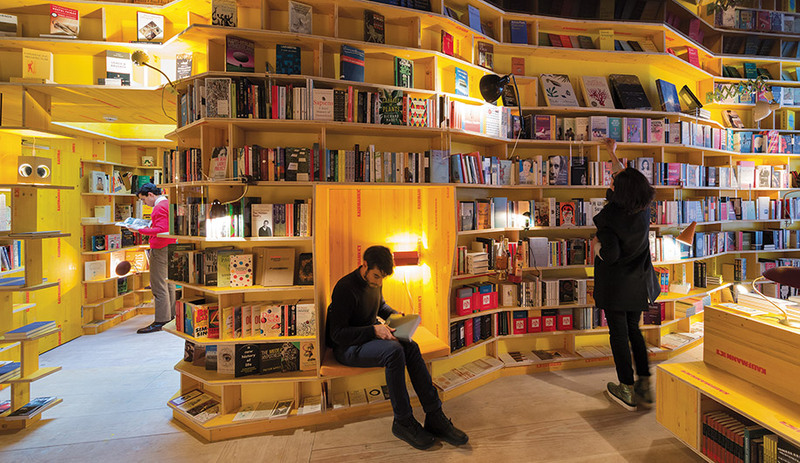 Inspiration for the artfully crammed bookstore was drawn from Jorge Luis Borges’ short story about a library that held nearly all the information one could ever need. 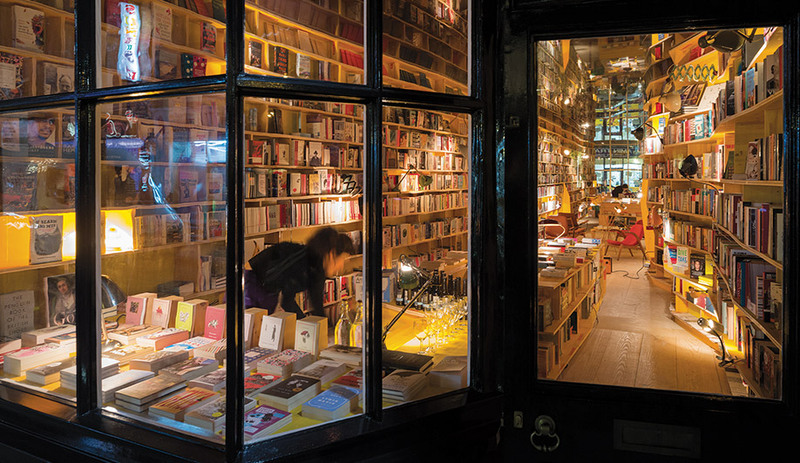 With a no-phone policy and a cheap and cheerful space designed by SelgasCano, a tiny shop on London’s Hanbury Street is bringing back the humble bookstore. The inside of this bookstore in the heart of hip East London is much larger than its quaint exterior seems to suggest – or at least this is my impression until I try to avoid someone coming toward me, and then realize it’s my own reflection in a mirror. 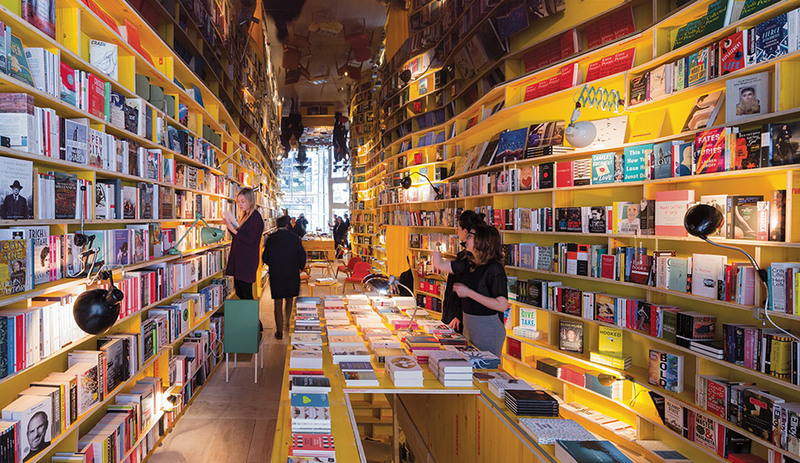 Librería (the Spanish word for bookstore) was designed by José Selgas and Lucía Cano of SelgasCano, the Madrid studio that has built its reputation on bringing novel approaches to architecture, and on exploiting off-the-shelf building materials in remarkably playful ways. The firm’s tent-like Serpentine Pavilion of 2015 was built almost entirely out of panels of ETFE, the fluorine-based polymer. Librería is small indeed – a mere 83 square metres distributed over two floors, with the bookstore at street level and a working area with an operational printing press downstairs. 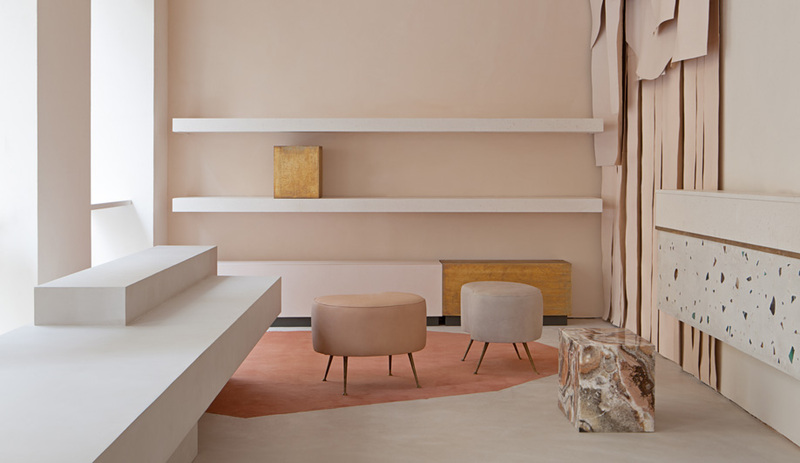 Second Home, which owns the shop and the members-only creative work space on the opposite side of the street, is hardly a big-budget client, so the studio did what it does best: it poured on plenty of imagination and inventiveness. 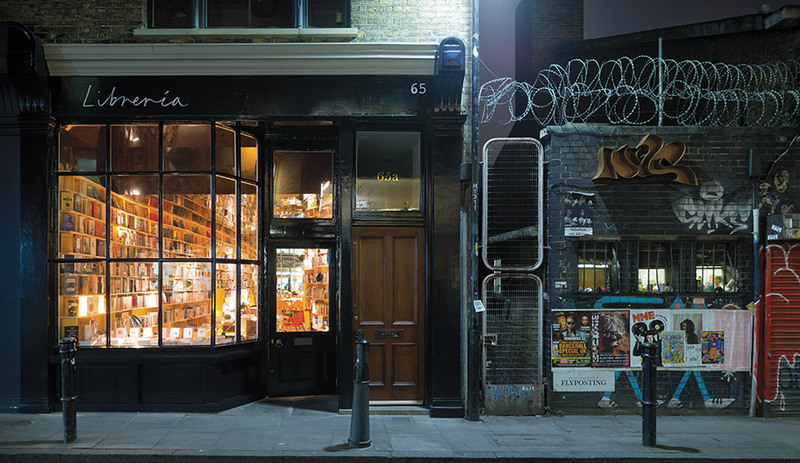 The shop aims to elevate the enjoyment of the physical book, hosting literary events, inviting authors to guest curate the shelves and creating limited-run titles from the in-house printing press downstairs. 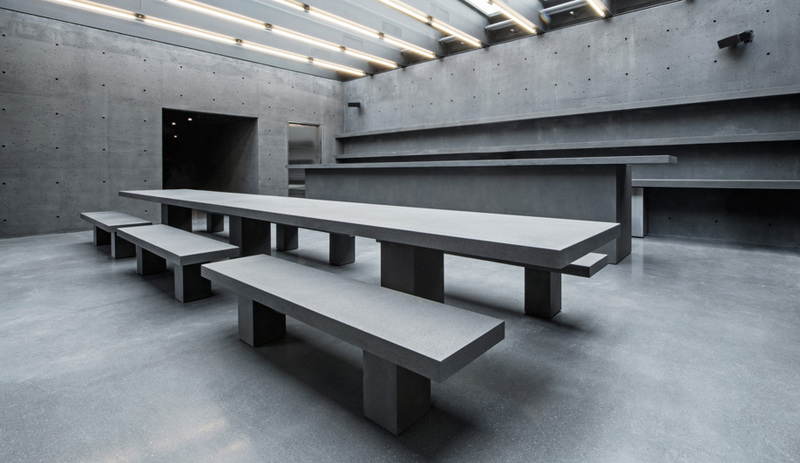 The interior, they say, was inspired by “The Library of Babel,” a short story by Jorge Luis Borges that conjures an infinite library, one that holds almost all the information one could ever need. The metaphor served as a point of departure for the designers to create a sense of boundless space within a narrow footprint, using mirrors and floor-to-ceiling bookcases that zigzag their way along both walls. Upcycled pallets painted yellow are used for the asymmetric shelves, and for a central display island that doubles as a reading bench. A wall-to-wall mirror at the far end makes the shop seem much longer than it is, and occasionally causes visitors like me to crash into themselves. The illusion is played up further by the reflective ceiling covered in plastic tinted in an eggplant hue. Spending time in Librería recalls a time when bookstores were a regular feature along most retail streets. Interestingly, the e-book era has brought back a renewed love for printed volumes, especially among fashionable millennials – a fact that makes one wonder if the death of print has, in the end, been greatly exaggerated. 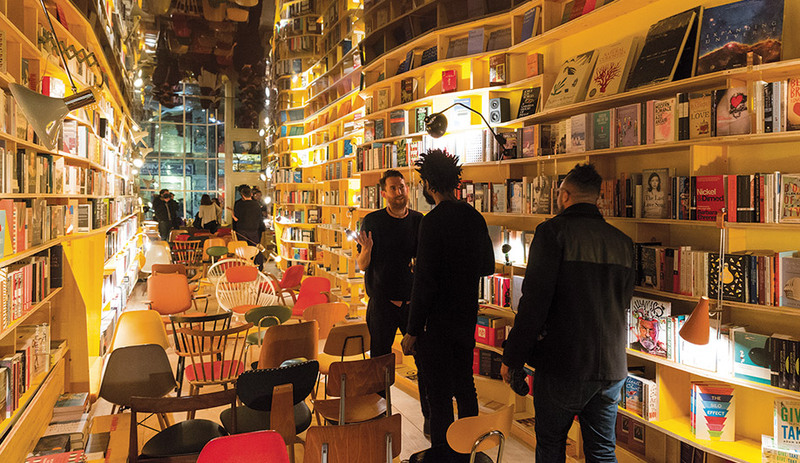 This pro-book philosophy is celebrated at Librería, where, with the help of a no-phones policy, the physical wins hands down over the digital.